Just hearing the word barbecue can make one think of a social gathering about to take place, either in your backyard, in the mountains, at the beach, at a friends place, or at the park. Where there is a barbecue, there is always food served. Barbecuing is most always outdoors, and either in the late afternoon or evening, and most of the time on a Saturday or Sunday afternoon. 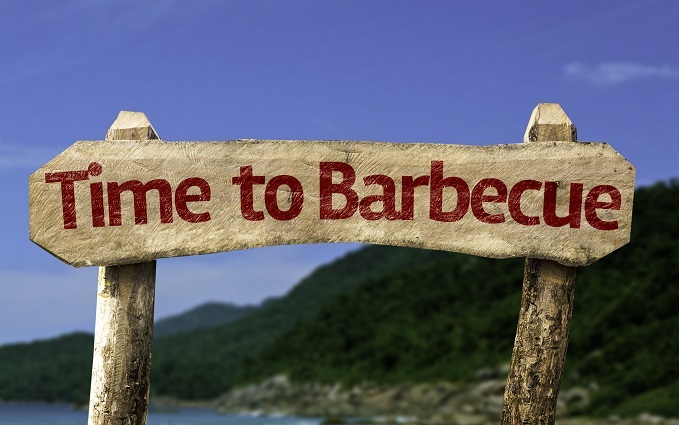 Have you ever wondered about the term BBQ or barbecued? Well, this term is used in two ways, as an adjective that refers to this method of cooking the food, and secondly used as a verb for the act of cooking the food. 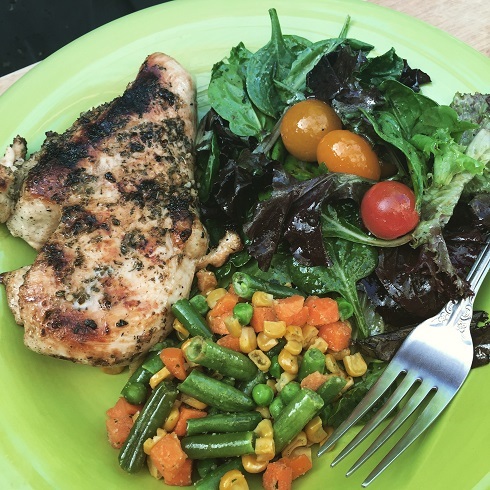 Barbecuing food is cooked either using wood chips, charcoal, or propane gas, and there are many different regional variations depending where you are at in the world. Most literature on the history of barbecuing points to Haiti as the origin. Some historians on barbecuing write that when the Spaniards who arrived after Columbus (who landed in North America in 1492) a few years later, found the Haitian people roasting animal meat over a raised wooden framework. The fire was built underneath, and the flames and smoke would rise and envelop the meat. It is also written that Spanish explorers, Gonzalo Fernández De Oviedo y Valdés, were the first to use the word “barbecoa” in print in Spain in 1526. Barbecoa is the Spanish word for Barbecue in English. As we noted earlier, barbecuing is used as a verb, and the Oxford English Dictionary cites the first recorded use of the word in the English language as a verb in 1661. Barbecuing really isn’t a sport, but it is has permeated all of society and is a tradition in much of the world. There are BBQ competitions held yearsly, and almost all competition grillers use charcoal, most often in large, custom designed brick or steel grills. Barbecue competitions are held in just about every state in the United States during the warmer months, from April through September. These competitive events feature competitions between teams of cooks and are divided into separate competitions, best BBQ pork, beef, chicken, and including the best barbecue sauces. Here at Splendid Recipes and More, we are not competitive when it comes to barbecuing, we are just happy that the method was ever invited. Here are some very simple and easy recipes for barbecuing beef and chicken. To a small boil add about 1/4 cup extra virgin olive oil and about 1/8 cup Mirin (a sweet rice cooking wine). Mix spices, mirin, and oil until well incorporated. 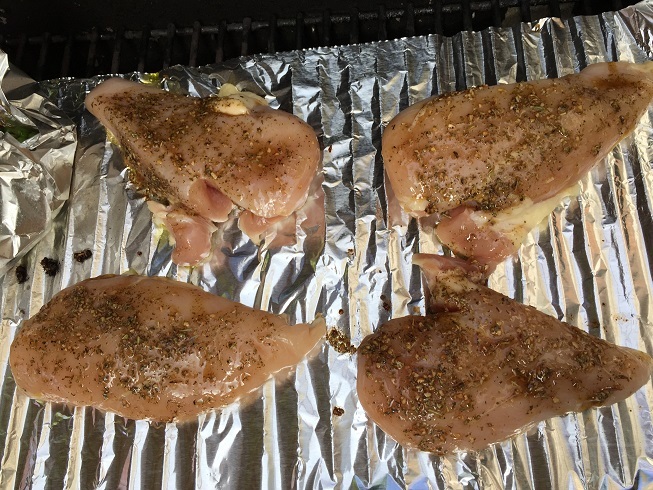 Place 1 pound of chicken breasts (about 4) onto a heated foil prepared barbecue (your choice to use wood chips, charcoal or propane). Next bast each chicken breast with spice mixture, turn breasts and bast the other side. 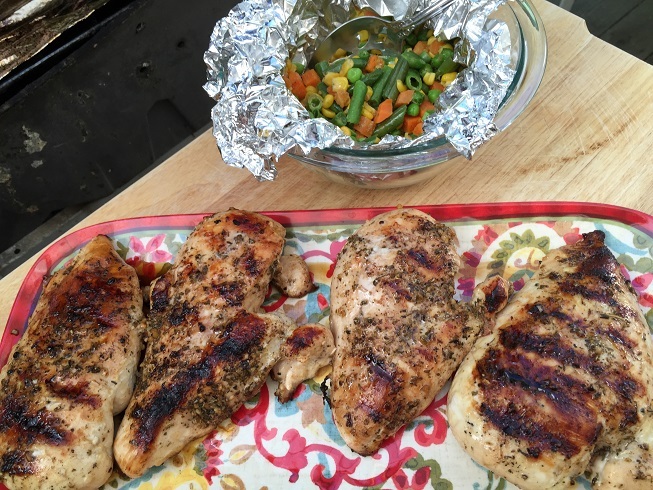 Turn chicken about every 6 to 8 minutes so meat cooks evenly. 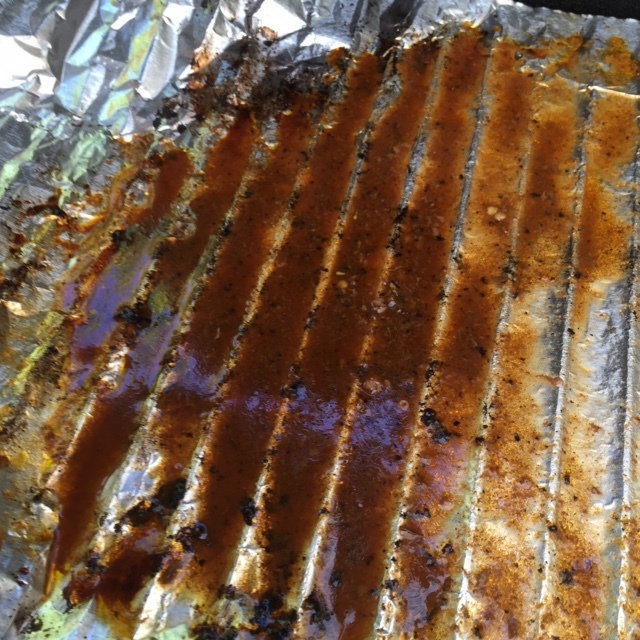 No need to bast continuously, as the foil protects the meat juices and spices from falling through the grill. 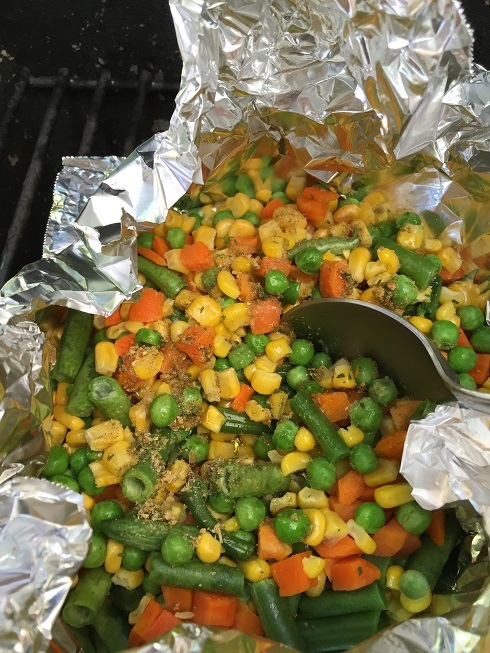 We also have a foil tent of mixed vegetables (you can use what ever type of vegetable you like), this is a great way to utilize the heat from the barbeque without using your kitchen stove top, and possibly warming the house up on a hot day. We added about 2 or 3 tablespoons of avocado oil with 1 teaspoon of garlic lemon seasoning, that we purchased at the Whole Foods Market. Cook vegetables until done. 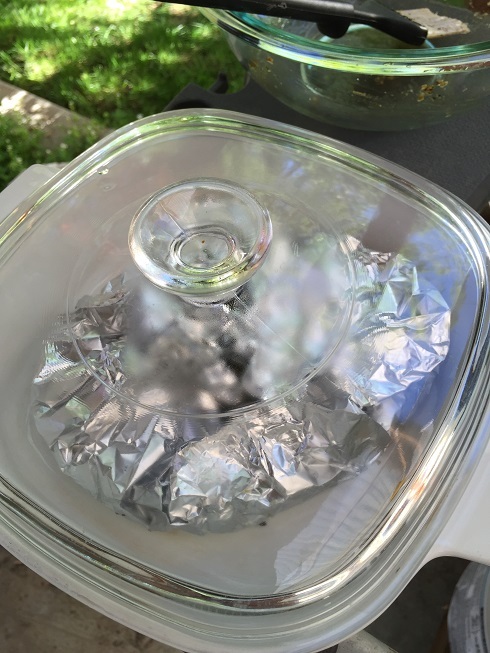 If the vegetables do finish before the meat is cooked, just leave them in their foiled tent and place them into a cover dish to keep them warm. 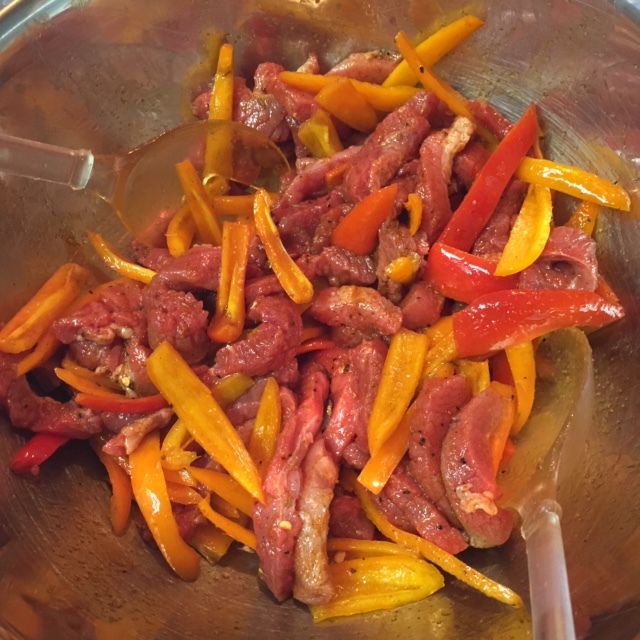 Prepare 1 or 2 pounds of carne para asar or carne asada, as it is called in Spanish. It is thin (very thin, less than 1/4 inch thick) cuts of sirloin, which can be found in most meat markets or the meat section of your favorit market to shop for food. 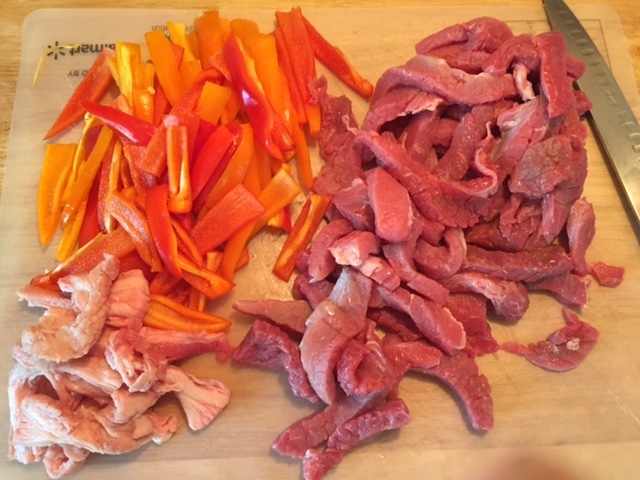 Prepare the meat by cutting away any fat, and cutting meat into 1 and half inch long strips by about 1 inch wide. Seed about 7 or 8 sweet mini peppers (use yellow, orange, and red), cut them into strips about 1/2 inch wide. Now for the seasoning we had two choices in our spice cupboard. 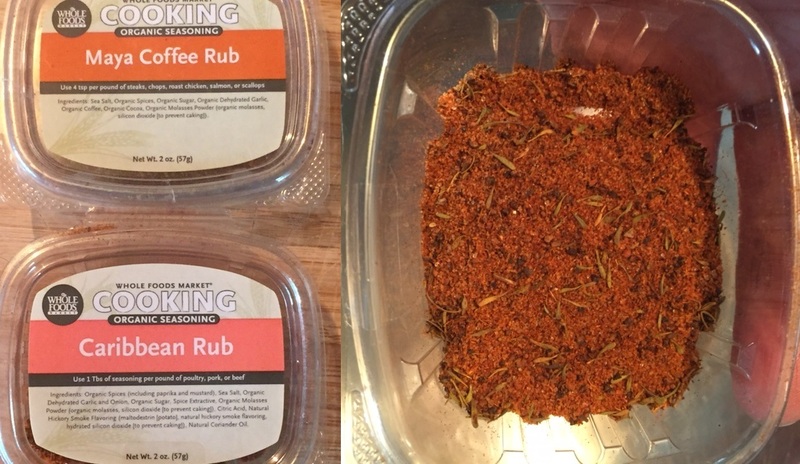 A Mayan Coffee Rub, and a Caribbean Rub, both purchased at the whole foods Market. We used the Caribbean Rub, and how fitting considering the history of barbequing started in Haiti, which is in the Caribbean. Place 1 tablespoon of Caribbean rub spices into a large mixing bowl with 1/4 cup avocado oil, and a small amount of balsamic vinegar (about 1/2 teaspoon). Mix the liquids and spices together. 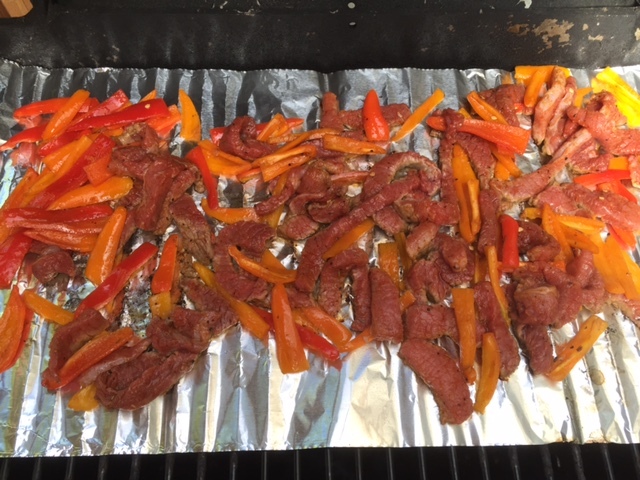 Next add the meat and sweet peppers and mix till well coated. Let set, and fire up the barbeque. 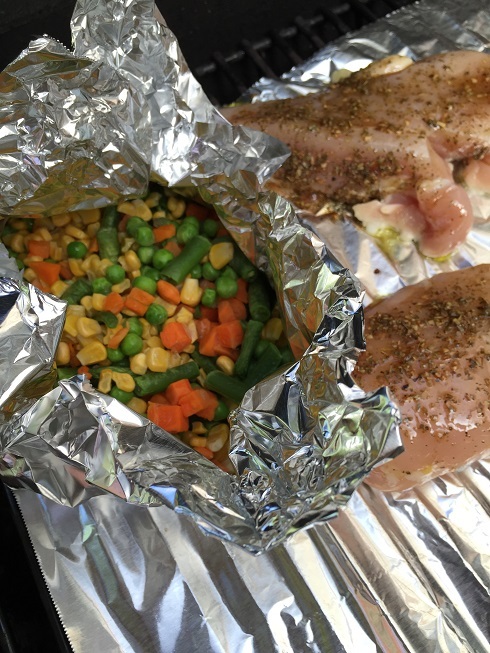 Line a piece of tin foil to fit your grill. When the barbeque is heated, add the meat mixture and cook until done, turning about every 5 or 8 minutes. 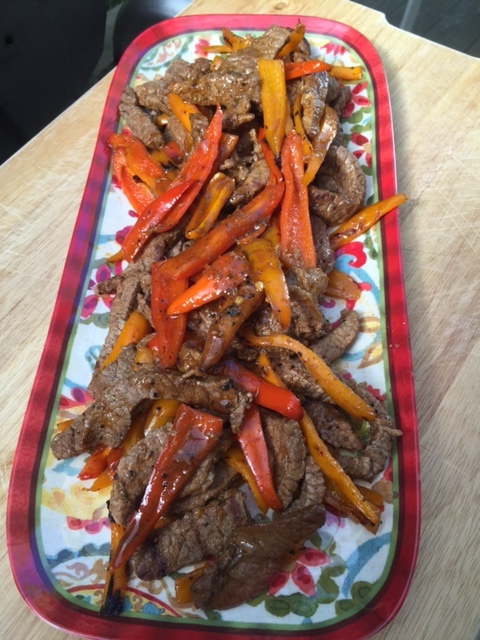 When the meat mix is cooked remove to a platter and serve. This entry was posted in BBQ, Main Dish, Side Dish and tagged Alabama, Barbecue, Barbecue chicken, Barbecue grill, Barbecue sauce, Béchamel sauce, Bell pepper, Black pepper, Callahan, Chic (band), Florida. Bookmark the permalink.